Want to know the real reason you’re still overweight…? The truth is if you want to lose weight and keep it off you need to look at both the inside AND the outside of your body. You will not get the results you desire with exercise alone or vice versa. Weight loss is a combination of science and psychology but the real culprit halting your weightless effort is acid! The acid level in your body is playing a key role in your overall health as well as your weight gain. We eat so many processed foods and live in high stress, toxic environments that our body becomes acidic. 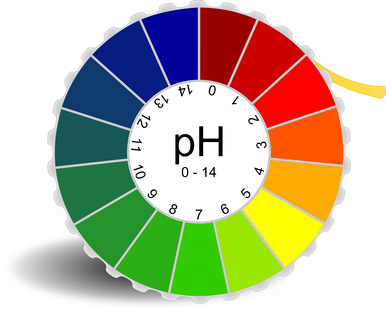 When your body is acidic it breaks down muscle to transport acids away from your vital organs for protection. When this happens it’s nearly impossible to lose weight or sculpt lean muscle. This acid state also puts stress on your liver as the toxins in your blood are filtered here. Normally the liver is where fat is metabolized so if your liver is busy trying to clean up the toxins in your blood it cannot metabolize fat as it should. The first step in correcting this is to detoxify your body to remove the acid and toxins that have built up. This can be done with simple changes in your diet, addition of exercise and providing nutritional support. Giving your body the proper nutrients that aid liver function, cleanse colon and eliminate toxins you can help reverse the acid in your body to alkaline. The Ultimate Body Applicator is an easy, safe and effective way to nourish and aid in the detoxification of your largest organ– YOUR SKIN! This treatment, with the addition of increased water intake and proper nutrition is a natural way to aid your body and tighten skin at the same time. The second step is removing acidic thoughts. These are negative self-statements, judging, comparing, anxiety and poor stress management. Detoxification is a holistic approach that allows the body to heal itself, however, for the body to heal itself this process first starts in the mind. How you think of yourself when you look in the mirror can have a direct effect on your weight loss progress.